Technician was prompt, determined the problem and finished the repair quickly. DISHWASHER WHIRLPOOL WDF330PAHS3 Install dispenser check over unit tested out good..
OVEN WHIRLPOOL WOS51EC0AS04 "New inner door glass good, installed in door and remounted door. Ran bake cycle to 350, all ops good. Cust using plastic oven liner on bottom rack, told them liners are not recommended in these ovens and they may experience issues with oven temps if they use it." OVEN WHIRLPOOL WOS51EC0AS04 "Inner glass panels came in damaged, metal frame bent and twisted. Reordering glass, cust will call office for reschedule; ordrng 1 WPW10347596 (GLASS INNER)"
MICROWAVE WHIRLPOOL WOC95EC0AS04 Installed new inverter. Operation tested good. DISHWASHER WHIRLPOOL WDT970SAHV0 "Install panel and handle, went to check for power didn’t have any so went to dishwasher box found one of wire is loose, lock door put key back to lockbox.."
MICROWAVE WHIRLPOOL WOC95EC0AS04 "Order all parts, didn’t smell first couple 2 mins heating but smell was coming after I try heating water for 10 mins then smell showed up ; ordrng 1 461967847321 (magnetron) and 1 WPW10586836 (cntrl-elec)"
WASHER WHIRLPOOL WFW7590FW0 Install door latch checked over unit tested out good ran diagnostics went thr fine.. 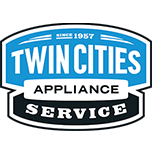 RANGE WHIRLPOOL WFE515S0ES1 Install socket tested out good..
DISHWASHER WHIRLPOOL WDT970SAHV0 "No part at house, called cust and he will have to locate; saved tckt"
DRYER WHIRLPOOL WED92HEFW1 "4-3, check vent with tester and is poor, vent kinked behind dryer, see pic"
WASHER WHIRLPOOL WTW7000DW1 "3-2,8-1, replace valve, calibrate, run test cycle, ok"
DISHWASHER WHIRLPOOL KDTE234GWH0 Picking up all use and damage panel..
OVEN WHIRLPOOL WOS51EC0AS04 "Order inner door took pictures of bottom panel, I couldn’t find any scratches myself, move broken glass aside still not seeing any scratches or damage to bottom inside panel. ; ordrng 1 W10827059 (door)"
REFRIGERATOR WHIRLPOOL WRS325FDAM04 Installed new thermostat and set to the recommended setting. RANGE WHIRLPOOL KFDD500ESS02 "Did calibration but temp is normal, customer will ply around with temperature when cooking different food maybe hs to get use to new oven." REFRIGERATOR WHIRLPOOL WRF767SDHZ00 "Found door that came have scratches on top and bottom were protective covering wasn’t, need to reorder door, also potential door leak in ice bin ordering this as well, need to ship to shop to have them look over door for defects, customers will be out of town for some time and will not be home; ordrng 1 SHIPTOSHOP and 1 W10757550 (dor-fip ss) and 1 W11171728 (ICE DOOR)"
REFRIGERATOR WHIRLPOOL WRT541SZDM00 Installed new compressor and charged with 4.9 ounces of r134a. Operation tested good. RANGE WHIRLPOOL WEG750H0HW0 The clock will lose its time and some of the buttons will not work. She will reset the breaker and it will come back to life. There were multiple f6 e0 communication errors. Per tech line he believes it is an issue with the unit being connected to WiFi with the app not being used. He had me turn off the WiFi to see if that fixes it. Customer will call customer service.